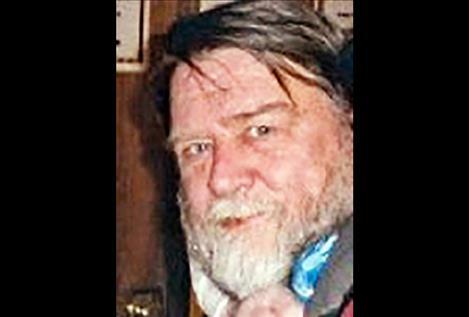 PABLO — “Ed” Otto Edward Brueckmann, 69, of Pablo, passed away on Aug. 26, 2018, of natural causes. Ed attended schools in Pablo and Ronan and went to Wyoming Tech. He then moved back to Montana and soon thereafter was drafted into the Army where he served two tours in Vietnam working as an air traffic controller. He came back to Montana and worked in construction for several years. In 1978 he moved back to Wyoming where he worked in the oil fields until 1982 when he met and married Susan. They started their family before they moved back to Montana to finally settle here. Ed worked as an instructor at Kicking Horse Job Corps for many years until he was forced to retire due to health issues. He loved watching the kids succeed and always did his best to help them along the way, along with his friends, family, and people he met over the years. Ed also enjoyed and loved his old tractor shows and working on his engines. He was a member of the Kalispell Antiques Power Club. He loved participating in the local parades with his engines and he would make sure he threw popsicles to all of the kids. He enjoyed “B.S.ing” and telling stories to friends as well as strangers. Ed is survived by his wife, Susan; his sons, Troy of Utah, and Bruce (Diane); his daughter, Sara; his adopted daughter, Judy (Cory) Wolfe, all of Pablo; his 15 grandkids; his one great-grandson; as well as numerous nieces, nephews, and relatives; his sister, Ida Corrigan; his brothers, Robert C. Brueckmann, and Roy (Stacey) Brueckmann, all of Polson. He is preceded in death by his mother and father, Anna and Otto; his sister, Irene Johnson; and many good friends as they are all in heaven “B.S.ing” and enjoying a drink together. Ed was very great man with a heart of gold and he will be missed by all. A celebration of life will take place at noon in Cheers (his church) in Pablo. Military honors will be presented at 2 p.m.